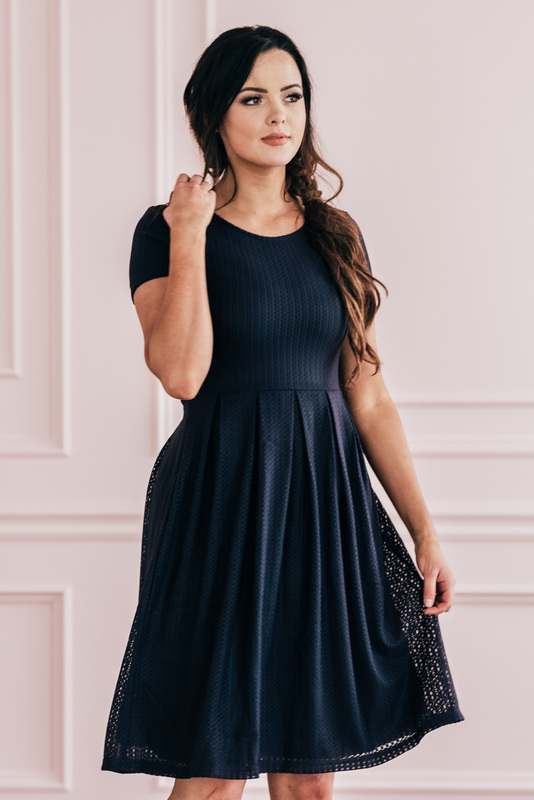 The Winslow dress has a simple, flattering silhouette, featuring a round neckline, short sleeves and an a-line skirt with large pleats. 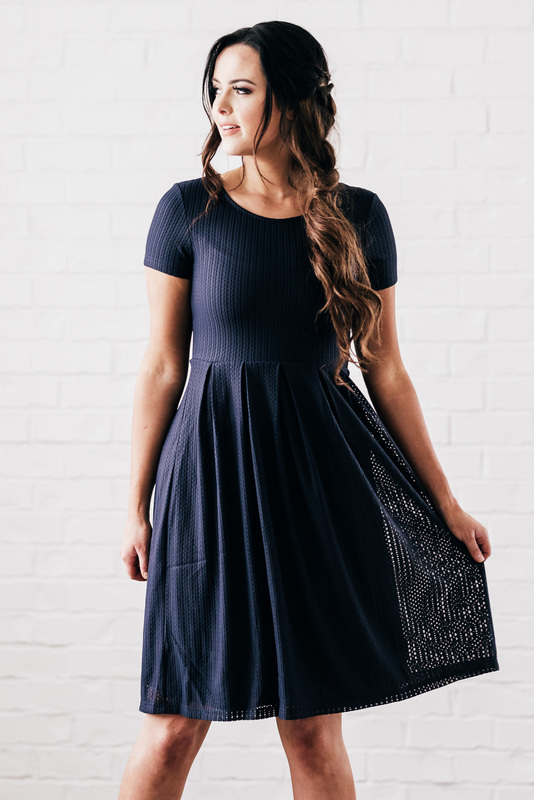 The beautiful navy blue color is flattering and timeless, perfect for any season! The square weave mesh overlay adds dimension and texture and is a perfect color match to the lining. 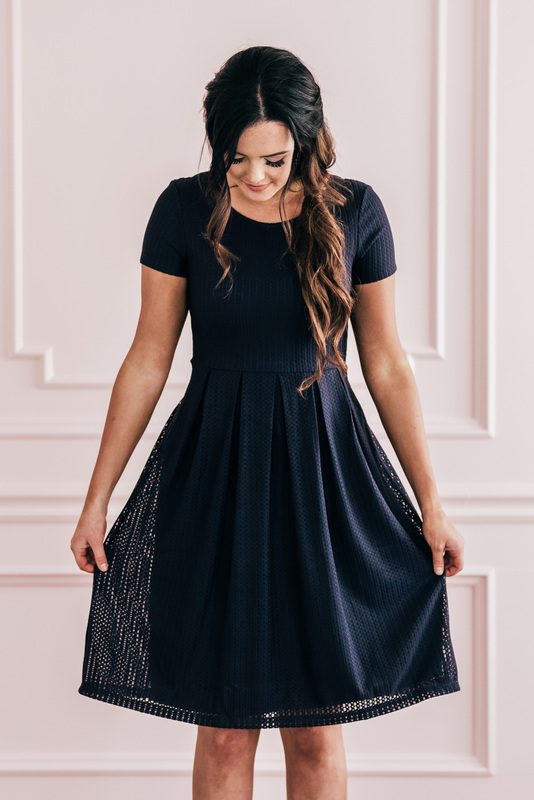 This dress works perfectly for wearing to church, holiday parties & events, or as a modest bridesmaid dress!